I’ve been browsing online greater than 3 hours today, but I never discovered any fascinating article like yours. It’s beautiful value sufficient for me. In my view, if all website owners and bloggers made excellent content as you probably did, the web shall be much more helpful than ever before. Introduced to this through discussion around the Sovrin trust framework. 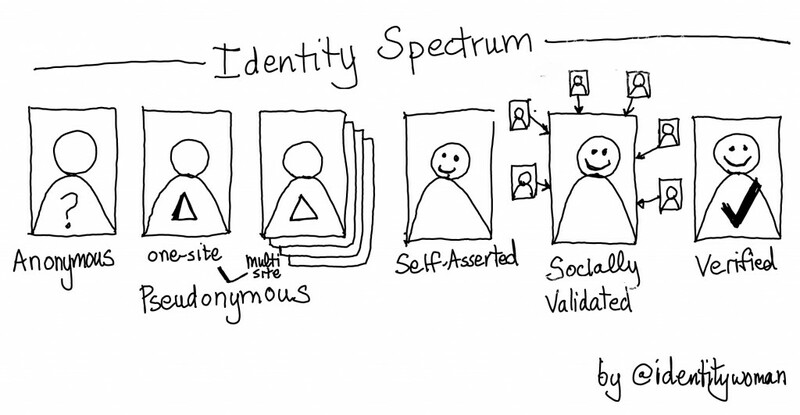 Really useful this range is one axis on a view of identity attributes that I have used to understand data and work with identity services. The other axis is dynamic to static, and together they give you what I call ‘hard’ (static and validated) vs ‘soft’ (dynamic & inferred) identity on a spectrum. Understanding data and identity in this way helps focus on most valuable data types both to protect and to monetise.